Lutheran Bible Translators is dedicated to Biblical stewardship, accountability, and transparency. In fact, fiscal responsibility is so important it’s one of our core values. In a blog post dealing with this value, LBT Director of Finance Joe Dunsey explained how Lutheran Bible Translators has been founded in a principle of utilizing our resources appropriately for God’s mission through Bible translation. But don’t think that these principles are limited to the office. 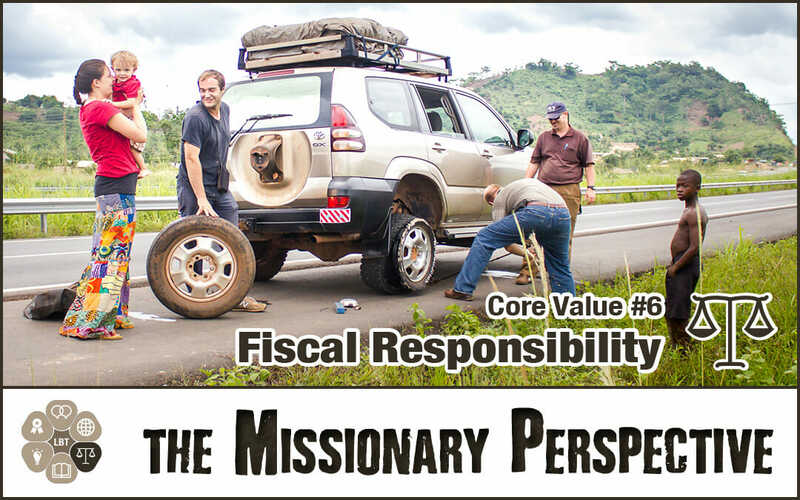 As a missionary with LBT, I am called to practice fiscal responsibility on a daily basis on the field. And actually, it really started even before I went to the field. Fiscal responsibility and stewardship go so much deeper than finances. It’s about relationships! As new missionaries in the early 2000s, we began our partnership development, meeting new people who became supporters of what God called us to do. We weren’t selling our ideas; we were sharing our heart’s desire to go into another part of the world to help make God’s Word accessible so others might come to faith in Jesus Christ. The people who supported us shared this vision; they just could not go overseas themselves. As people shared their God-given resources in support of what God called us to do, they were giving back to God. So, besides our personal connections for accountability, we had a responsibility to God to use their gifts to us effectively and in good stewardship. Every time we spend money for ministry on the field, we think about this. Every LBT missionary does. As we file all of our receipts, we are following the laws of the United States, but we are also staying true to the mission of God through LBT while being accountable to our supporters. Good financial management is extremely important to us and the organization as a whole. Administrators and missionaries alike are concerned with only the necessities. What can we do without? If we don’t have to spend, we don’t. For example, we might be in need of a new set of tires for our vehicle. A good working vehicle is extremely important where we work for the times when we need to travel to remote locations. Yet in comparison with utilities – which are necessary for the work that we do, the new set of tires is lower on the list of priorities. Upon examining our tires, we decided they could wait another year. As missionaries, we restrict ourselves to necessities and are dedicated to wisely using the funds so generously given by our partners. LBT, our supporters, and the communities in which we serve can all see that we are committed to practicing Biblical stewardship with high ethical standards. In order for fiscal responsibility to exist within our ministry, we recognize that there is an accountability in our relationships. We are committed to serving in God’s mission through Bible translation, using gifts and resources for His glory.